A little browsing around in Best Buy yielded some unexpected fruit! 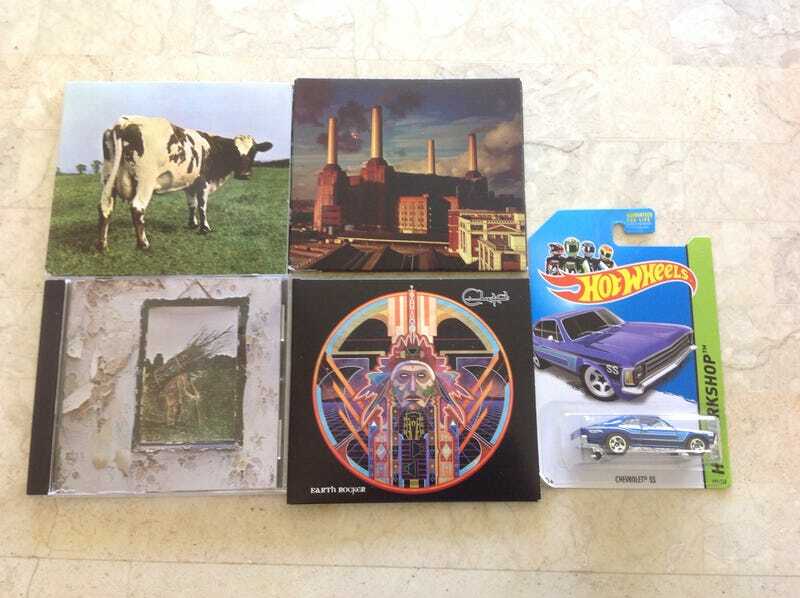 Clutch's Earth Rocker, Led Zeppelin IV and last but certainly not least, Pink Floyd's Atom Heart Mother and Animals! My collection is shaping up quite nicely. Also, a jaunt to a nearby Walgreens yielded this Chevy SS (South African import of the '68-'71 Holden Monaro). I'm quite pleased with that also. If I find anymore, I'll pick them up for the exchange.